Hope&Glory flourished in 2014, becoming one of the fastest growing agencies in the Top 150. Hope&Glory has comfortably broken into the top 100 and was among the fastest-growing agencies by fee income in 2014 after another stellar year. Labelled as one to watch in last year’s Top 150 list, the consumer PR agency continued to flourish by focusing on its craft. "If you produce great work, you’ll attract the best employees, big clients and the money will take care of itself," says managing partner James Gordon-MacIntosh. With a ‘matrix structure’ in place, Hope&Glory continued to operate without any fixed account groups, pulling teams together to fulfil client objectives. Headcount was up by 52 per cent, with the focus on acquiring multiskilled individuals to aid expansion. The system appeared to work in 2014 as the agency added Airbnb, Barclaycard, Sony, Virgin Active and Virgin Trains to its client list, which already included HTC, O2 and the Royal Mint. Gordon-MacIntosh says a strength of the agency continued to be its ability to generate creative ideas. 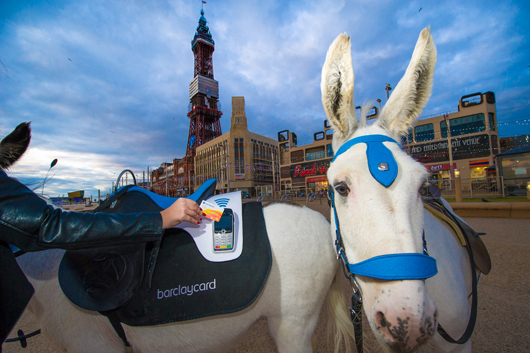 Hope&Glory showed it can take a mundane topic and secure national coverage with its ‘Smart Arse’ campaign promoting Barclaycard contactless payment. Over the past year, the agency looked to branch out from brand campaigns to offer full press office work. This helped retain prominent clients such as Sony. Plans for 2015 include continuing to work on and pitch for "top three and leading challenger brands". It is also investing in in-house technical and practical expertise. Gordon-MacIntosh adds: "Before the end of the year we’ll likely start a standalone social and digital agency, which will also work on Hope&Glory clients."